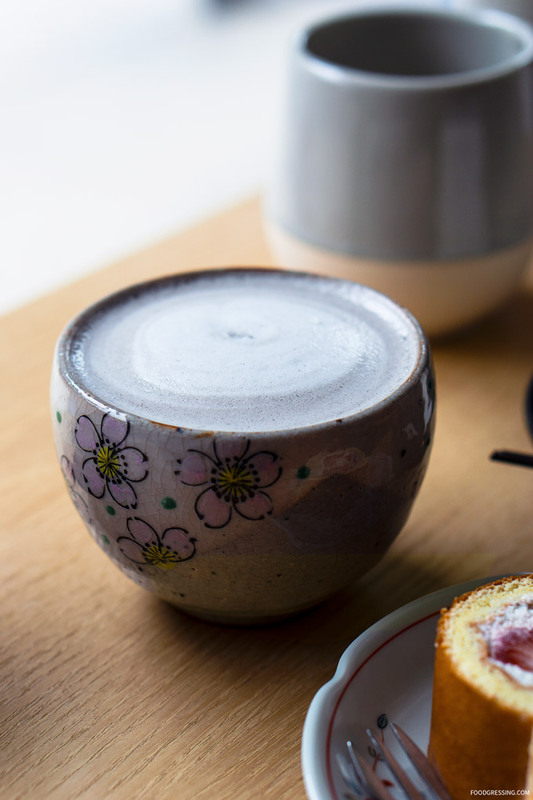 It’s Cherry Blossom Season 🌸 and restaurants around town have been creating unique sakura-inspired treats and menu. I picked up these Cherry Blossom Donuts from Cartems Donuts yesterday. They were priced at $3.40 each and are vanilla cake donuts with a cherry + yuzu glaze, chocolate drizzle and edible flowers. The donuts were definitely on the sweeter side and is best enjoyed with coffee or tea in my opinion. You could definitely taste the citrus flavour of the cherry and yuzu glaze. I had initially gone to Cartems on Main Street at 9:30 am to get them but they had not received their delivery of these one-day only special donuts. The staff did put 2 aside for me (maximum 3 per customer) and phoned me when the donuts were in. 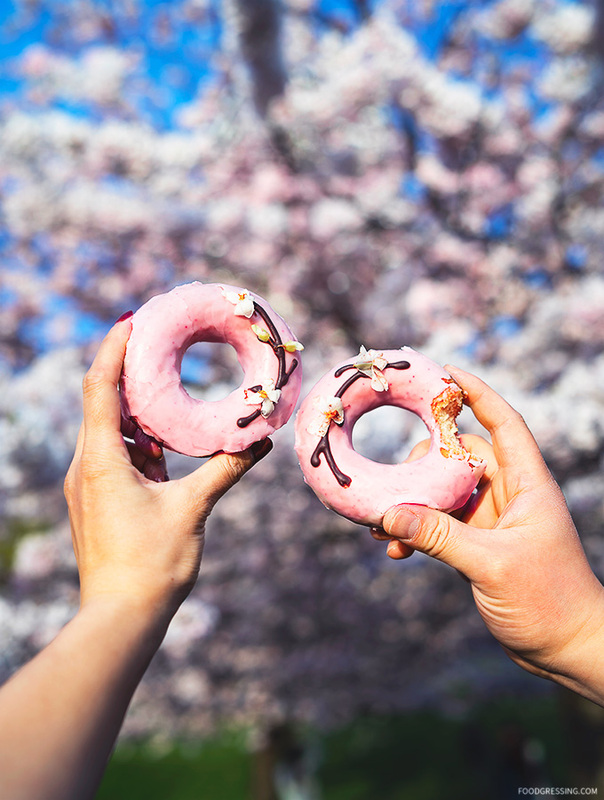 What cherry blossom-inspired eats are you indulging in this year? In Vancouver, we don’t really have Japanese dessert cafes specializing in pastries for me to satisfy my sweet tooth. 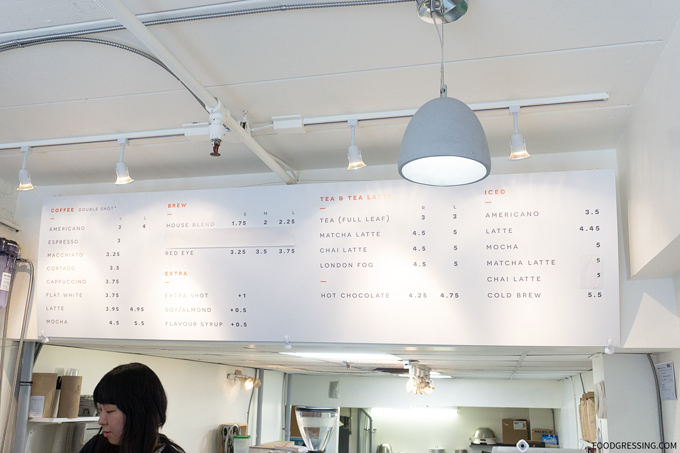 One of the most prominent ones was Chicco Cafe on Robson which had closed down last year. Last year, when I visited Toronto, I made it a point to go to Little Pebbles to indulge in some Japanese-style baked goods. I was excited to try out some of their treats over coffee with my friend who I was staying with. 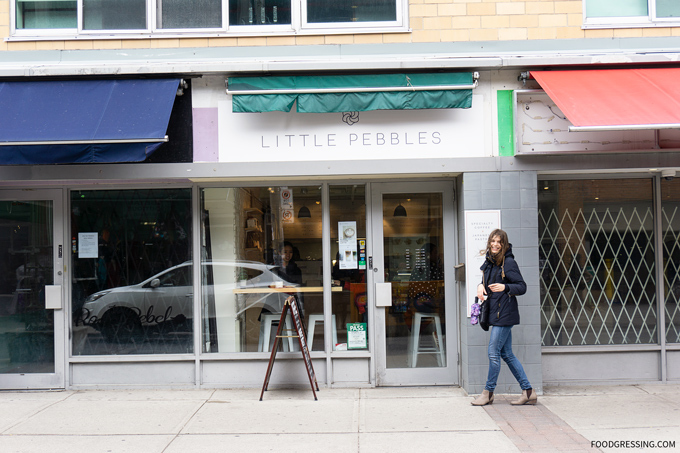 Since my visit, Little Pebbles remains in the Kensington area but apparently moved a few units down from their original location but to a larger space. 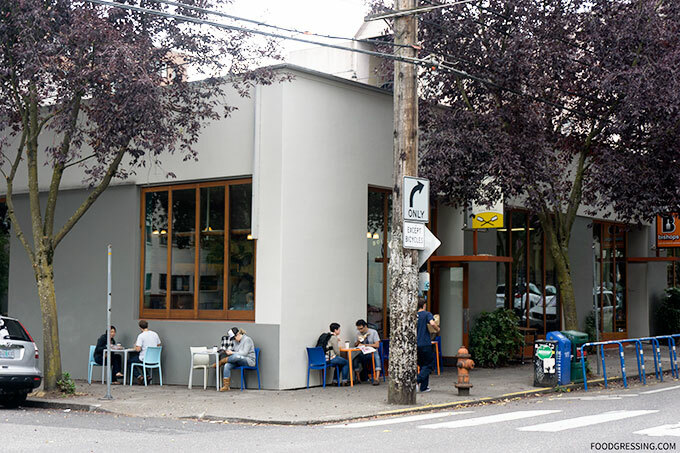 At the time, I really enjoyed their clean, minimal interior with a homey atmosphere which made a nice place to get together with others over coffee and treats. 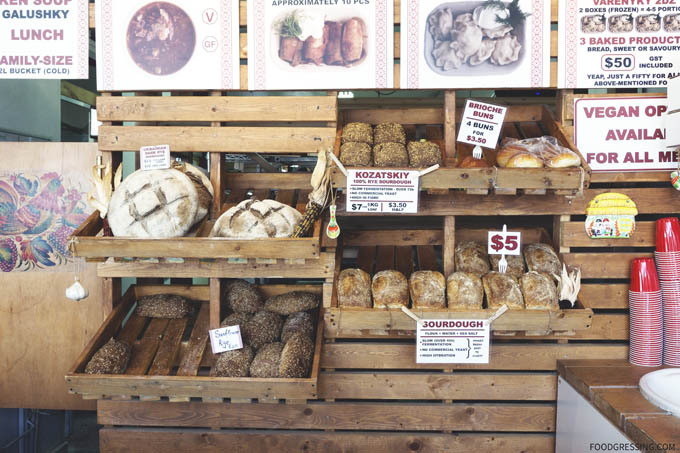 All their baked goods are made in-house. Little Pebbles uses Japanese Juhakuto sugar which apparently is sweeter without the calories and more moist than granulated sugar. 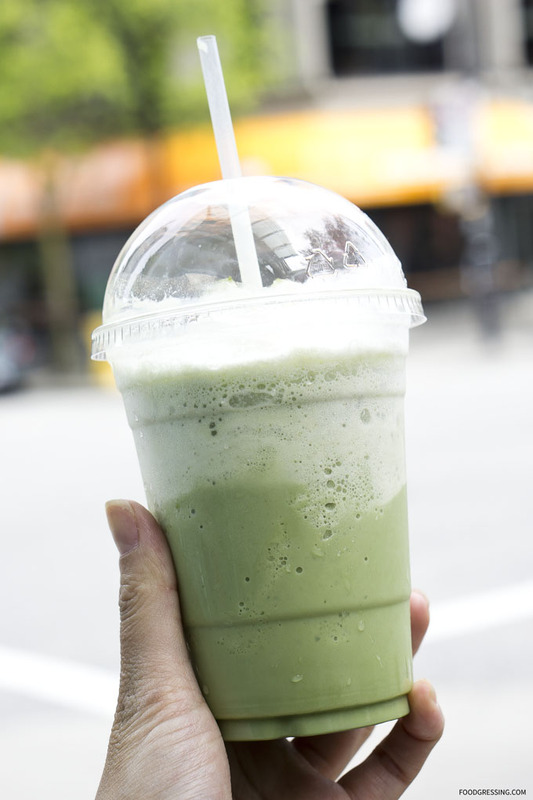 They also use ceremonial-grade matcha for their matcha-based drinks and desserts. On their menu as well were a variety of espresso-based drinks as well as tea. 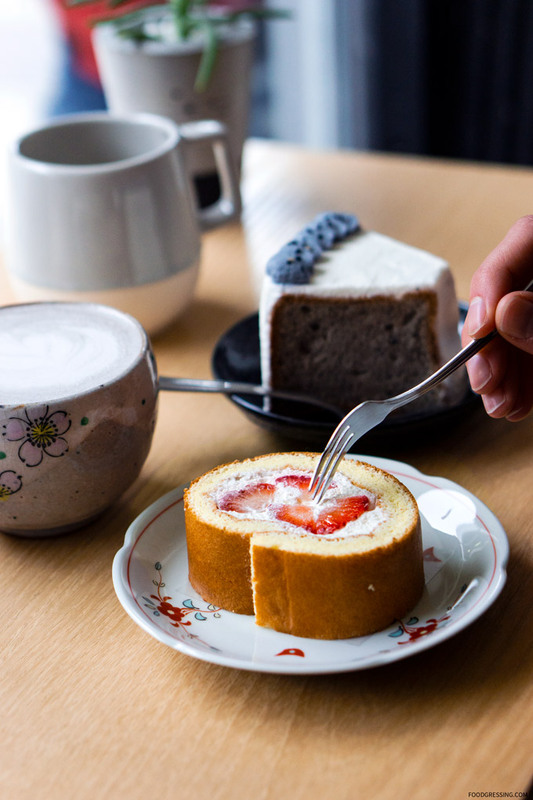 My friend and I shared the Black Sesame Chiffon Cake ($5.25), Osaka-Style Strawberry Roll Cake ($5.25) and I had a Black Sesame Latte ($5). 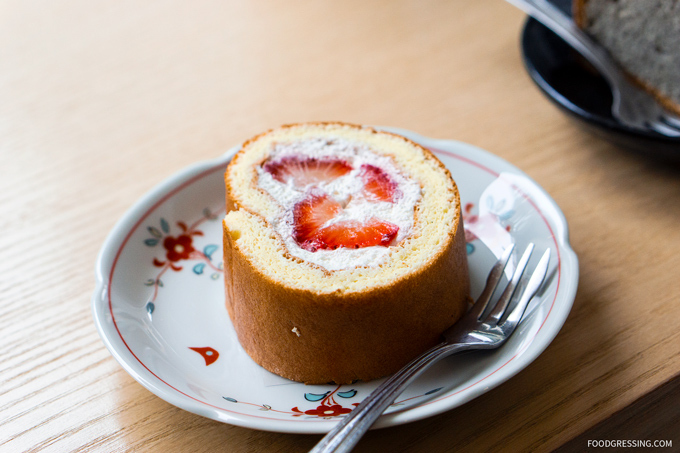 The roll cake was Osaka style so the outside was not decorated and the inside is only cream. However, Little Pebbles does incorporate a few strawberry segments into this delicious, light and fluffy cake. 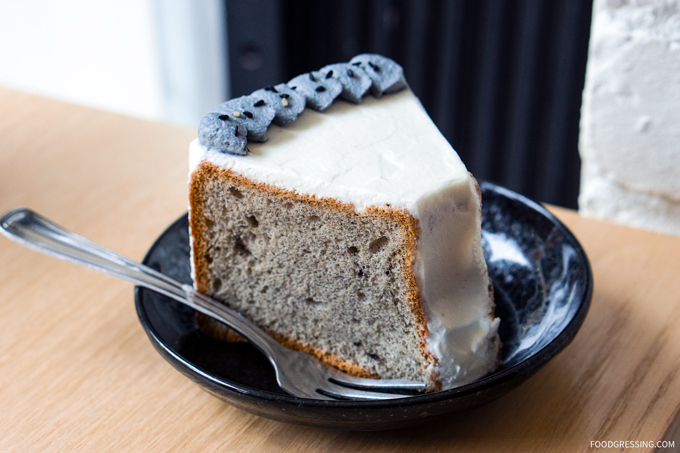 The Black Sesame Chiffon Cake definitely felt like a melting sponge. I enjoyed the moist, light texture with a light black sesame flavour. 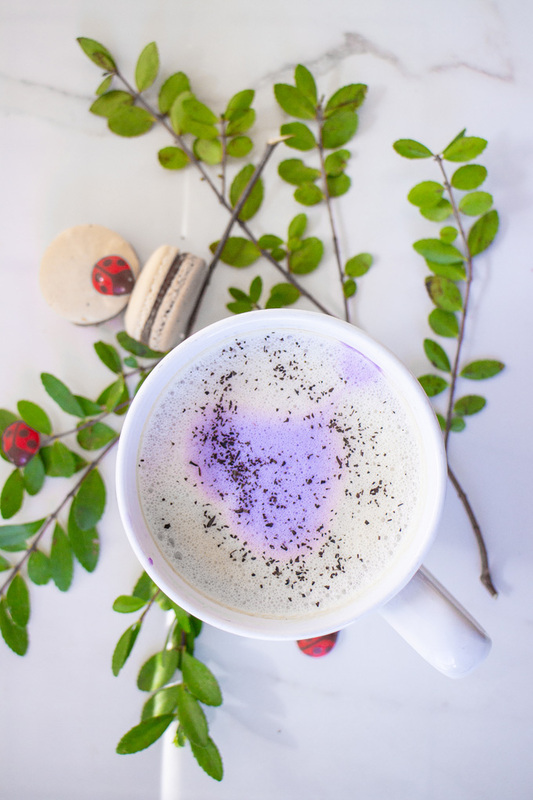 The Black Sesame Latte comes in your choice of sweetned or unsweetended. It was nutty, smooth and delicious. 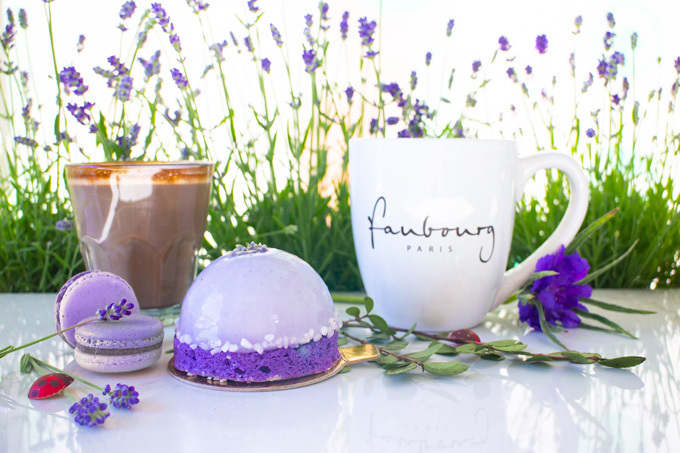 This summer Faubourg is taking customers to the lavender fields of Provence France, with their new lavender flavoured products. 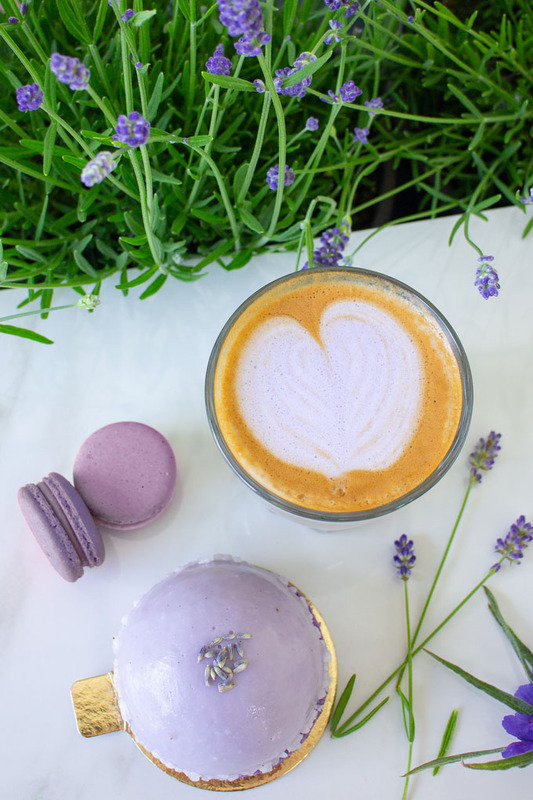 Available for a limited time only during the summer season, this line up includes Lavender Earl Grey Macaron, Lavender and Strawbery pastry, Lavender Mixed Berry Smoothie, Lavender Latte, Lavender Tea Latte, Blueberry and Lavender Chausson and more. The popular fragrant lavender fields in the Mont-Ventoux blooms from around the last week of June to the beginning of August when it is harvested. Its peak is usually in early July, which may vary depending on the rainfall during the year. 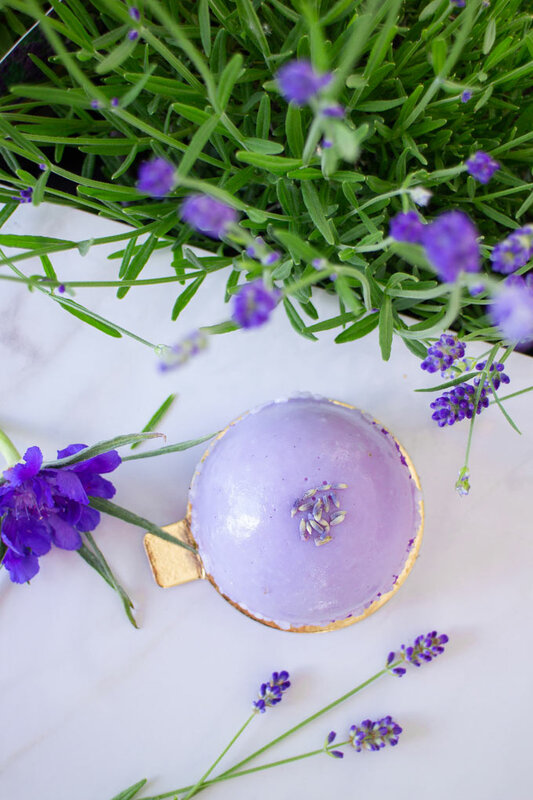 Though lavender is not traditionally used in cooking in France, some chefs are constantly experimenting with it. 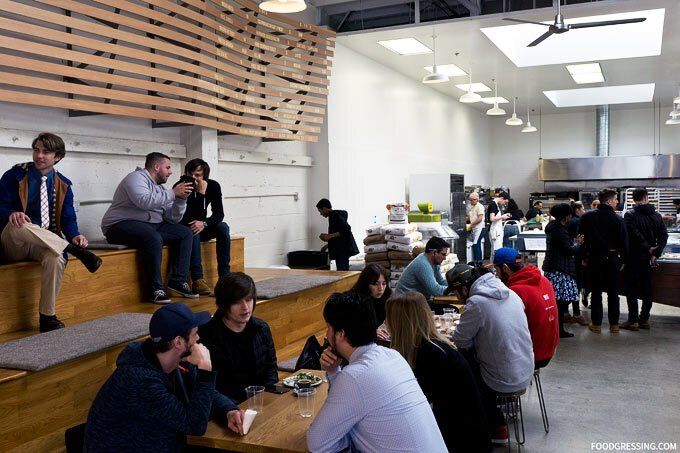 There is no shortage of amazing bakeries in San Francisco and one of the city’s top places for baked goods is Belgian-inspired Vive La Tarte in SoMa. 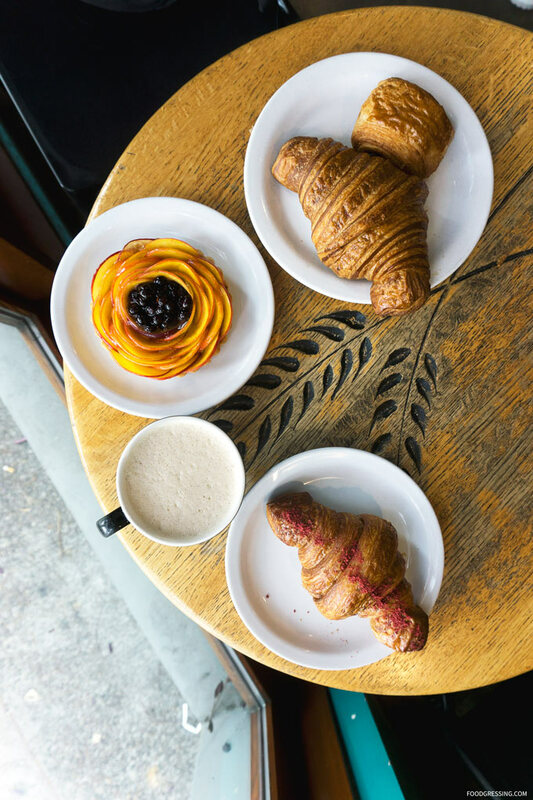 After getting caffeinated at Blue Bottle Coffee, David and I proceeded to try out some of the goodies crafted at Vive La Tarte and, of course, take photos of their very Instagram-worthy croissants. Note: None of the food in this review was complimentary. This review was done anonymously. Opinions are my own. 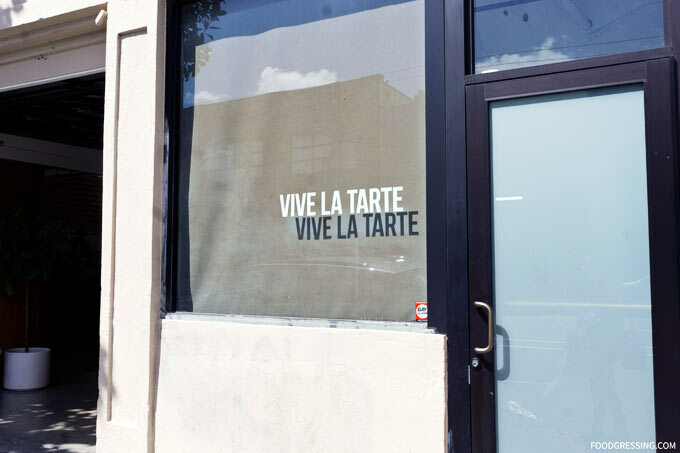 Walking into Vive La Tarte, I was immediately impressed by the cool, industrial-feel of this spacious, modern bakery. 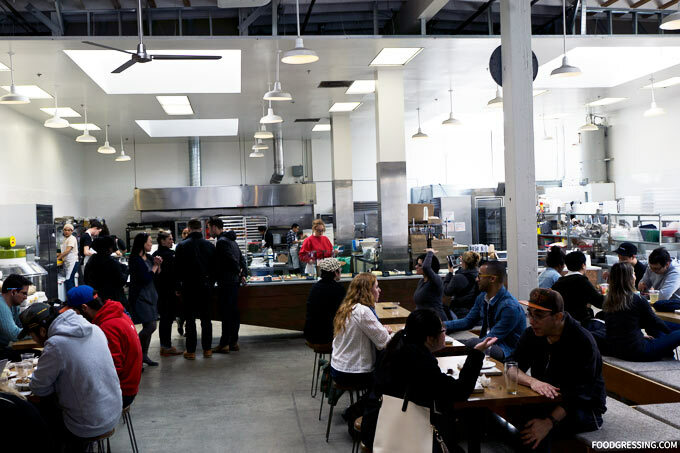 The kitchen is open and also very big; I love how they allow customers to see how their products are freshly made. Seating is aplenty at Vive La Tarte but could be a bit of challenge as it is very busy. I really like their theatre seating area (very unique!) but there are also dining tables, seating outside and by the window. 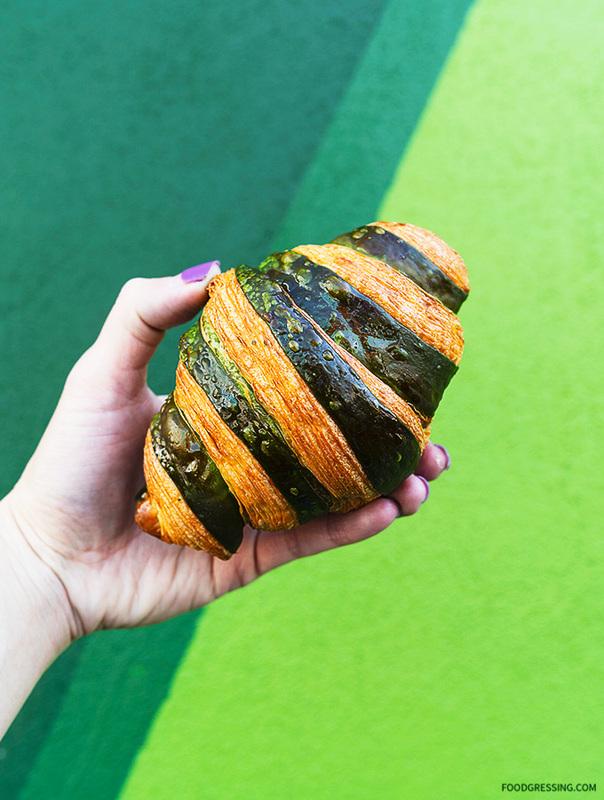 Vive La Tarte is known for their photogenic stuffed croissants like Pain Au Chocolat, Orange blossom and Za’atar, Almond, and so forth. 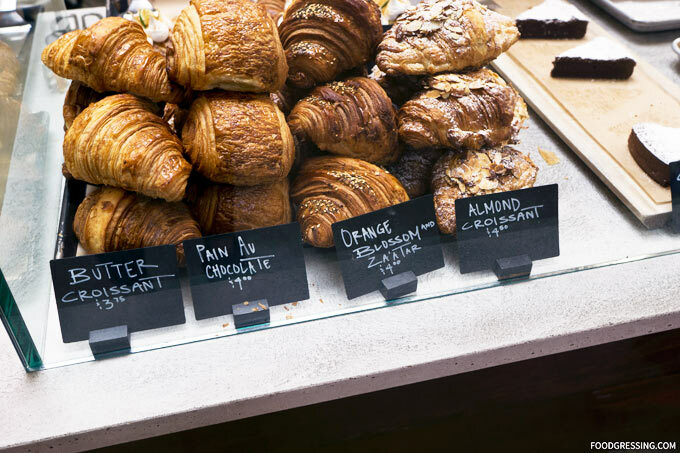 These tantalizing pastries are on display at their ordering counter. Also on the menu are some lunch and breakfast menu items like Smashed Avo Toast, Fried Egg Sandwich, Cobb Salad and more. 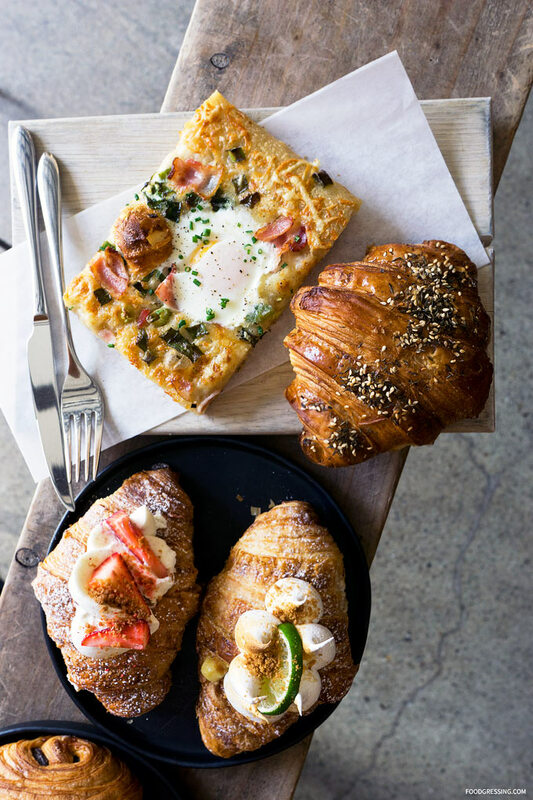 I went all croissant-crazy and got the Pain Au Chocolat ($4), Orange Blossom and Za’atar ($4), Key Lime ($5) and Strawberry Shortcake ($5). David had a Breakfast Pizza ($8). 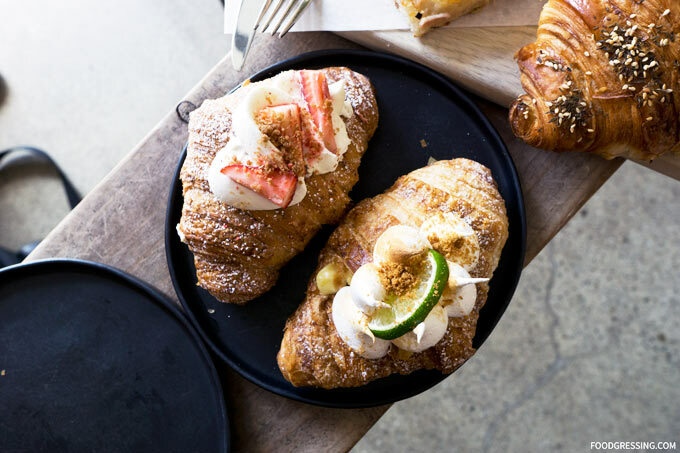 The Key Lime and Strawberry Shortcake croissants are what I would call, “next-level croissants.” It’s hard to go back to a regular croissant after this. Each bite is sinfully delicious with the combination of buttery and flaky pastry and a luscious cream and custard filling. 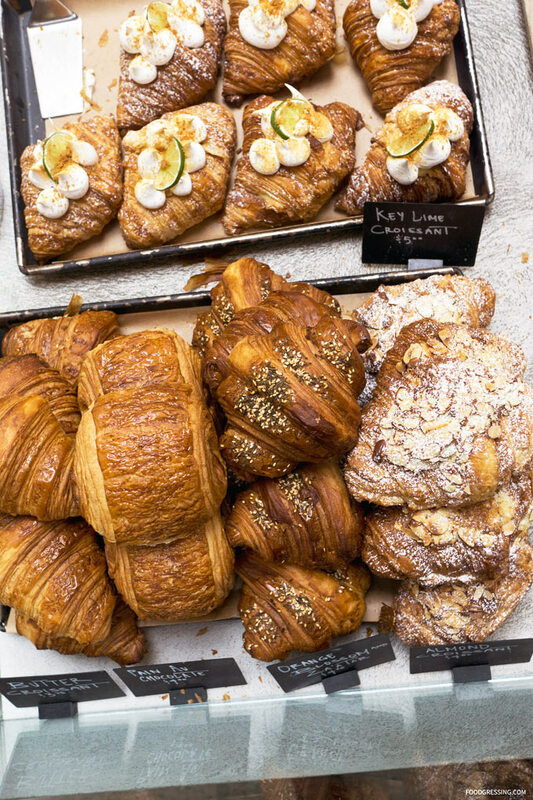 I’ve seriously died and gone to croissant heaven. 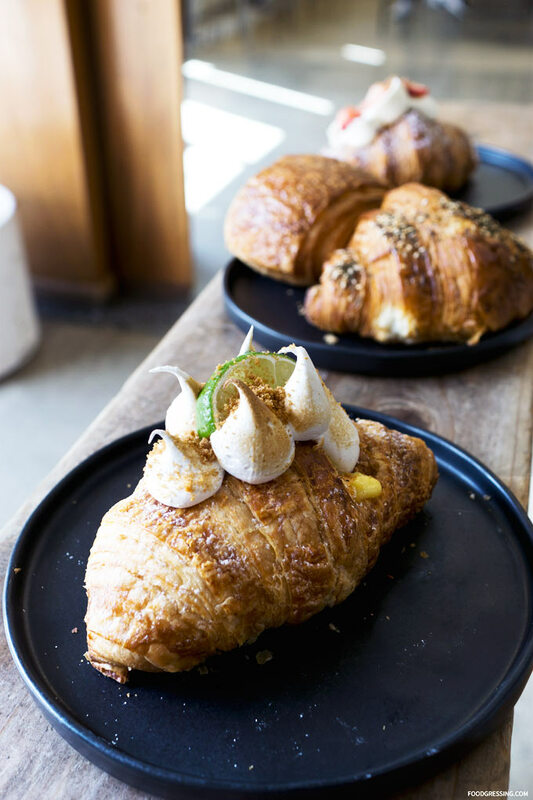 The meringue on the key lime croissants was a nice touch. 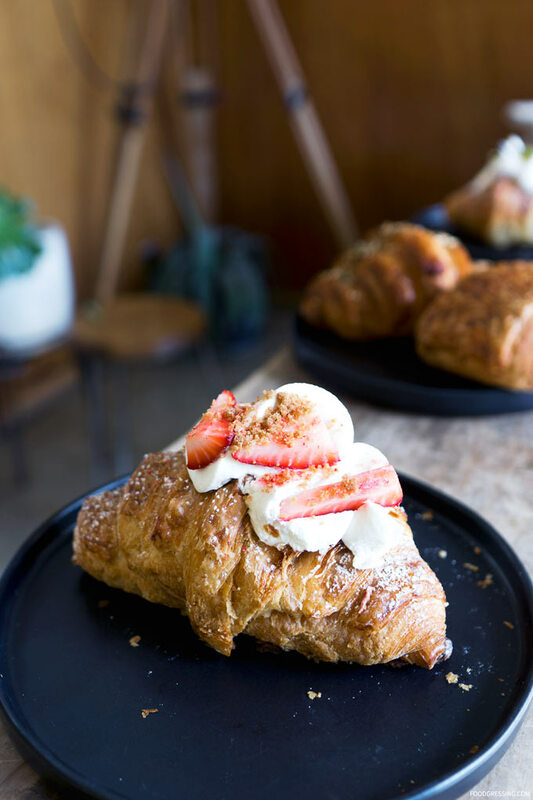 The Strawberry Shortcake croissant wasn’t as sweet as the Key Lime, so it might be a good option for those want something less sweet. 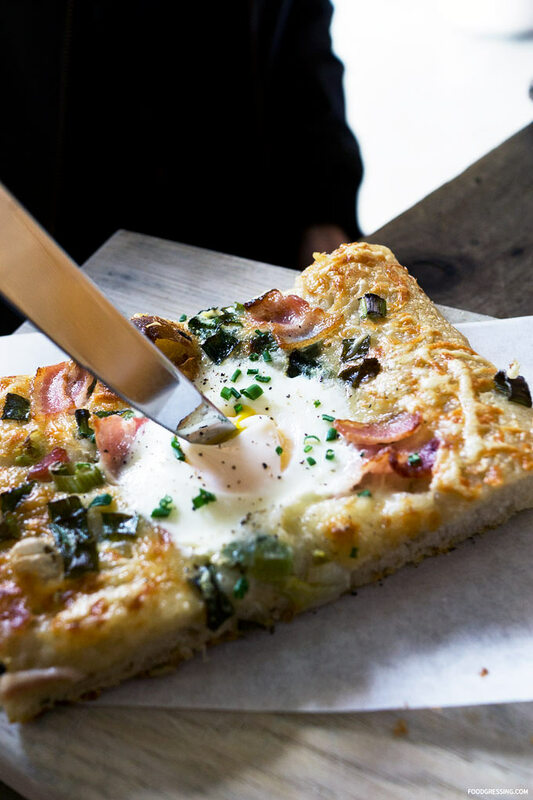 David also really enjoyed his bacon egg breakfast focaccia – a great savoury, breakfast option by the way – which had a delicious crust. 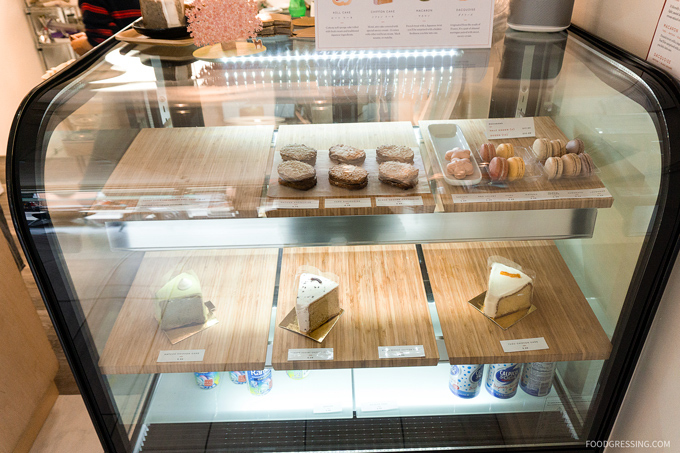 Ganache Patisserie is one of Yaletown’s longstanding businesses specializing in French pastries and desserts. 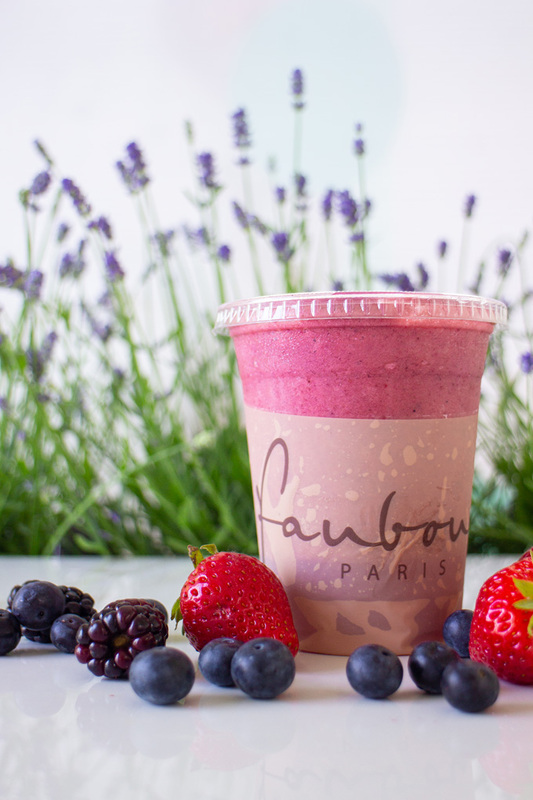 It was opened in 2003 by pastry chef, Peter Fong, who was inspired to open a pâtisserie after visiting France. The key ingredient in Ganache’s menu is chocolate and more specifically, Cacao Barry chocolate from France. I had come to know many years ago about Ganache Patisserie when they had a reputation of being *the* premier wedding cake designer in Vancouver. At that time, I was planning my wedding and Ganache Patisserie was featured in Vancouver’s top end wedding publications like Real Weddings, Wedluxe and Perfect Weddings. They seemed like the best place to get a dream wedding cake. Now, I inquired about obtaining a wedding cake from them but alas their pricing was outside my budget at $9 a slice. Considering the number of guests I had and their slice per person cost, I decided to go with another vendor. I hadn’t tried their cake at that point and it wasn’t until recently that I managed to try out a few of their offerings. 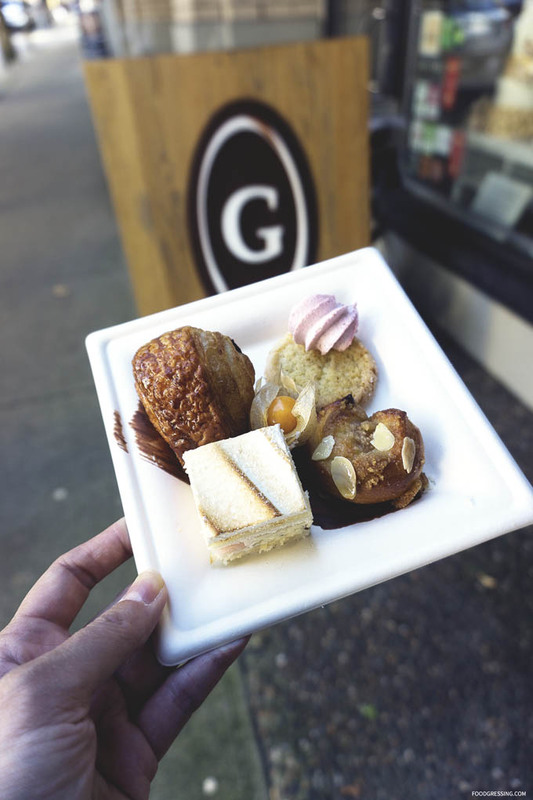 Last fall, I visited Ganache Patisserie for the first time during Vancouver Foodster’s Tasting Plates Yaletown Brunch event. At that time, I sampled their Pain au Chocolat, Brioche aux Pommes Amandes, Blanc Frasier, Sable Breton and Raspberry Vacherin. While everything was tasty, I didn’t think that it was representative of the best of what Ganache Patisserie can offer. What they seem to be really known for are their cakes! Last month, I decided to revisit Ganache Patisserie and try a few of their cakes: Chocolate-Banane and Matcha-Exotique. A chocolate and banana flavour seems like a simple combination but Ganache manages to take this to the next level. The cake had a dark chocolate mousse, caramelized bananas, praline crunch, and hazelnut dacquoise. The cake was luscious and was very smooth and silky in texture. There was such a perfect balance between the chocolate and banana flavours; you could taste each of the flavours. To top it off, the praline and hazelnut really added some nice crunchy textures and beautiful nutty flavours. Bravo. 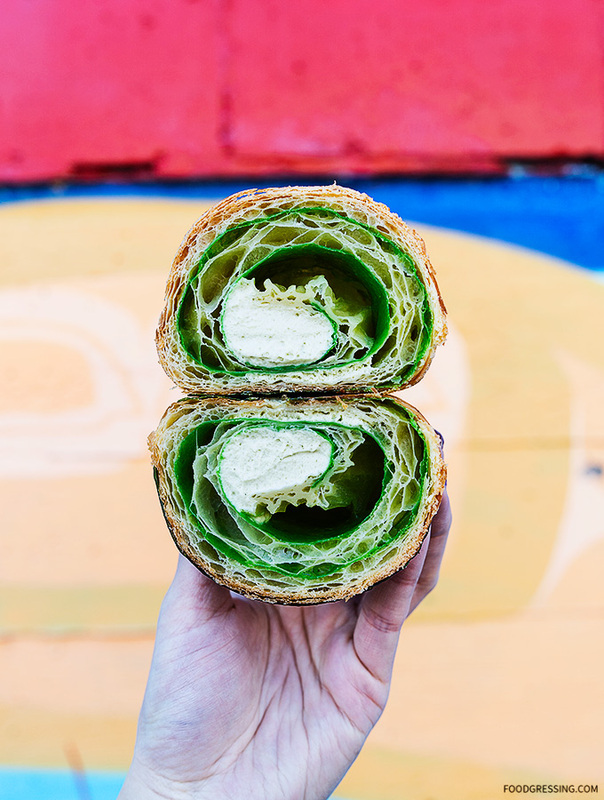 Vancouverites love green tea and ideally, every bakery in Vancouver should have one green tea item. 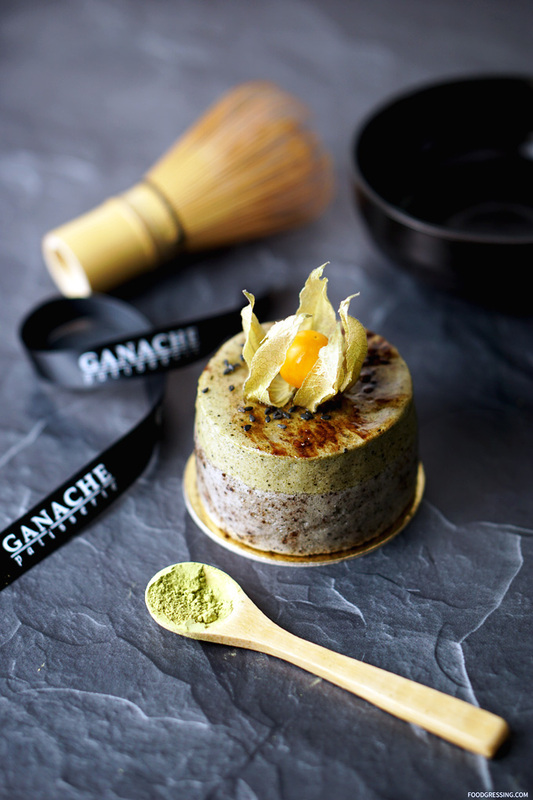 At Ganache Patisserie, they have the Matcha-Exotique made with green tea mousse, passionfruit-mango gelee, lychee and a black sesame biscuit joconde. The green tea flavour was distinguishable while the black sesame flavour was less prominent. The passionfruit-mango really added some wonderful, citrus flavours to the dessert. The mousse texture was on point being silky and pillowy. 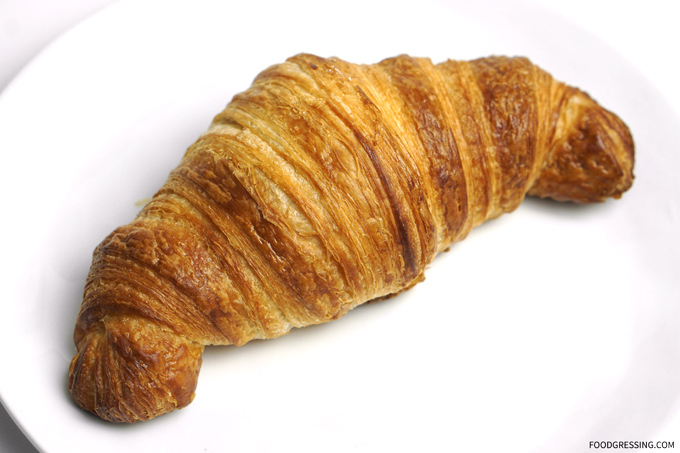 I also tried their plain croissant which was very good. It had a lovely golden, crispy exterior and nice inner, flaky layers. 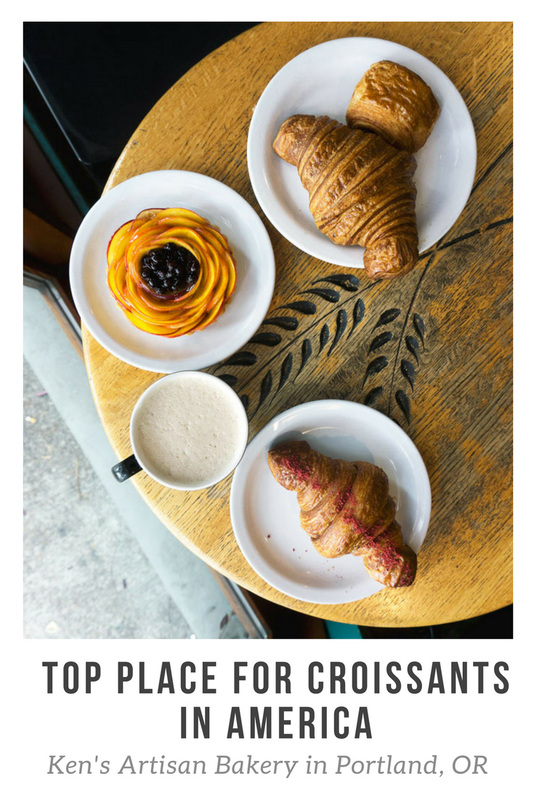 I found their croisant to be a tad denser than say the croissants from Beaucoup Bakery which are more light. Still satisfying nonetheless. 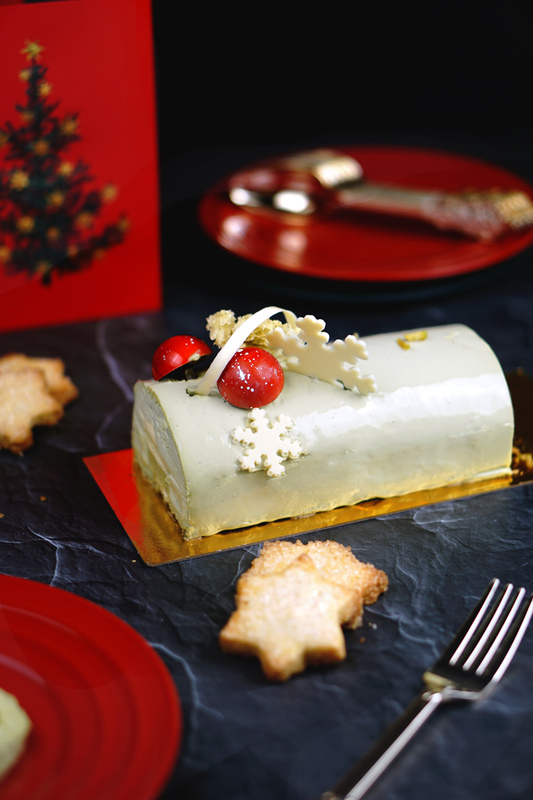 It’s that wonderful time of the year where our favourite bakeries in town create special holiday creations. One of my favourite places is Thomas Haas and this year I decided to pick up one of his holiday cakes. 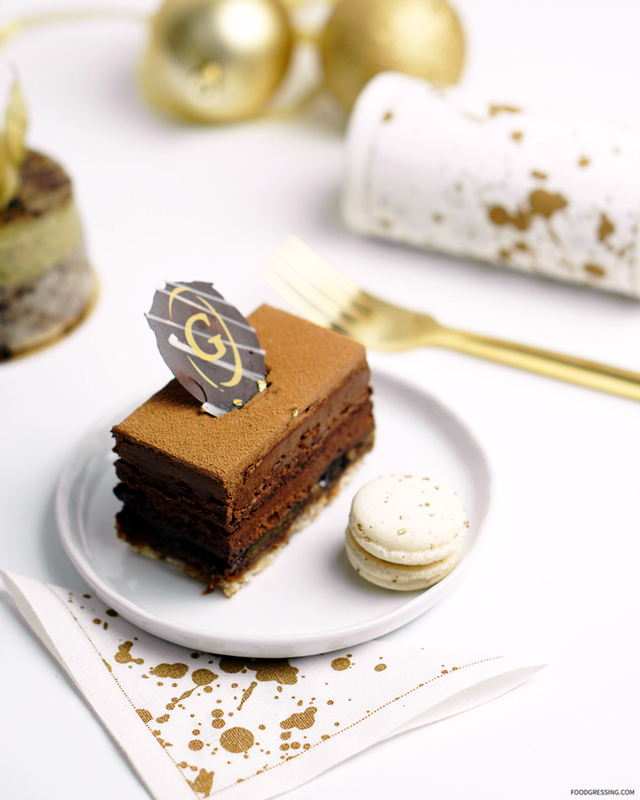 Available on Dec 23 and 24 only, Thomas Haas created 8 delicious Bûche de Noël yule logs inspired by his 8 most popular cakes. I went with the Matcha Yuzu cake ($37) which was made with light matcha mousse, exotic yuzu-passion fruit coulis, soft almond cake and matcha shortbread. Note: None of the food in this post was complimentary. Opinions are my own. The texture of the cake was certainly melt-in-your-mouth. The yuzu flavour was most pronounced while the matcha was subtle but still present. And I also picked up a few star-shaped sable cookies which had a nice, zesty flavour and buttery, crumbly crust. When I made the order online, I had to pick a specific time slot for pickup. It seemed that the Thomas Haas staff followed the schedule quite diligently but was able to accommodate some early and late pickups. The fun part was meeting Thomas Haas himself who was there in the shop meeting orders. He even presented and packed up my cake! For your next celebration in which you need a cake, I would recommend Thomas Haas. Fresh artisan bread, homemade perogies, decadent piroshkis, and hearty borschs. 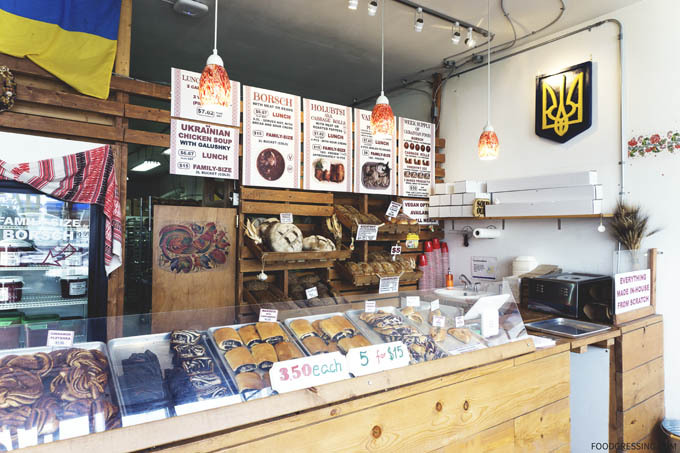 At Solodko Ukrainian Bakery, everything is made in-house and from scratch. 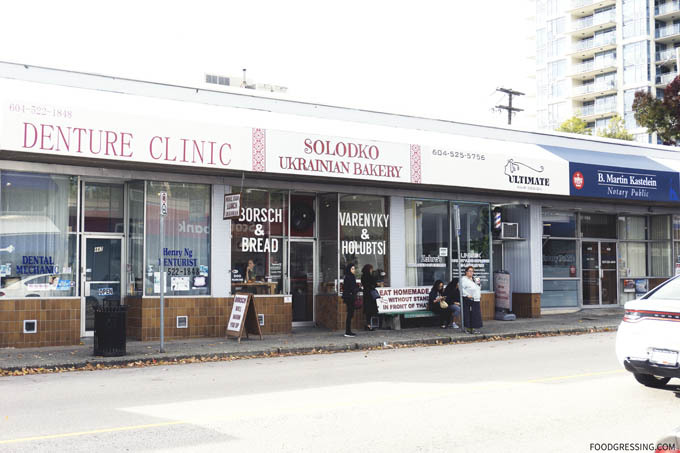 I recently ventured to Solodko Ukrainian Bakery located at 444 Sixth Street in New Westminster. Here’s a look at what they have to offer. Disclosure: I was invited to a media tasting. All food and drinks in this review were complimentary. Opinions are my own. 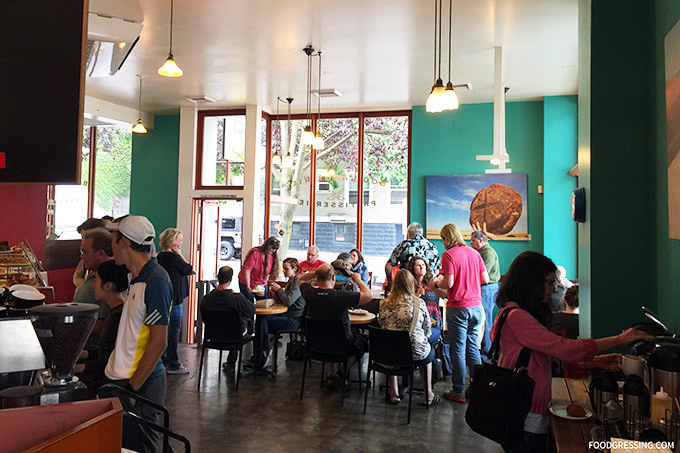 From outside, you can already experience the amazing smell of baked goods coming from Solodko. And it smells damn good. Going inside, it’s even better. 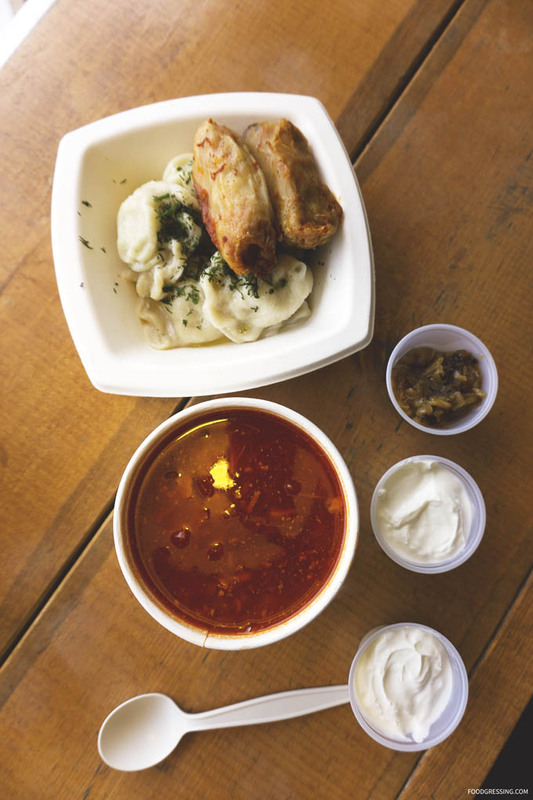 On the menu at Solodko are Perogies, Cabbage Rolls, Borsch Soup, and Ukrainian Soups in lunch or family portions. Perogy flavours include Potato & Dill, Sauerkraut, Meat & Onion, Sour Cherry, Blueberry, and Cottage Cheese. 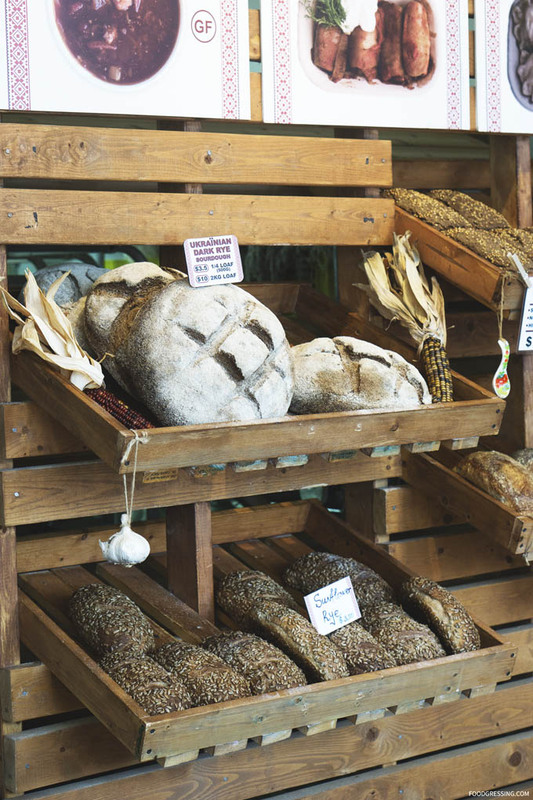 They also offer artisan breads like Brioche, Sourdough, Kozatskiy (Rye Sourdough), and Ukrainian Dark Rye Sourdough. 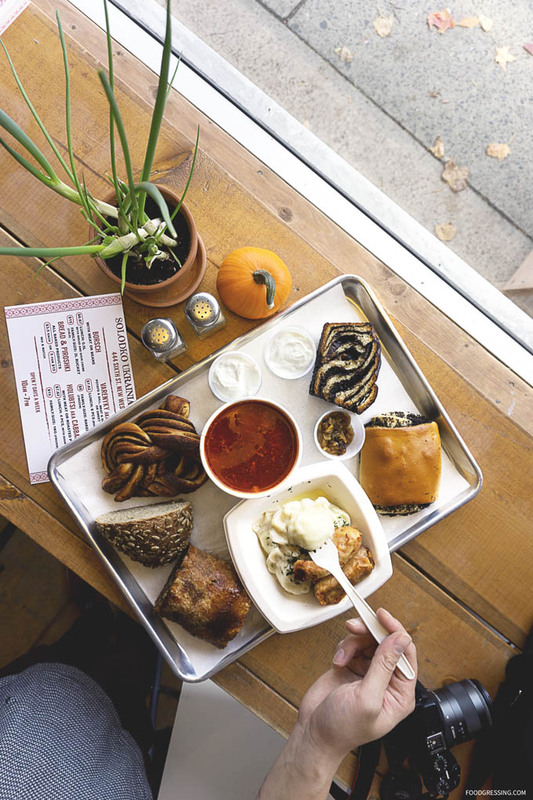 There are sweet baked goods like Blueberry Piroshki and Babka (sweet yeast cake) and savoury buns like Cabbage bun, Sausage in Blanket, Meat & Onion, and Potato & Dill. Vegan options are available for all meals. Many of their products come in frozen varieties so you can enjoy them at home as well. On this media tasting was David (pickydiners.com) and we tried a few of their sweet and savoury items: Cabbage Rolls, Perogies (Potato & Dill, Sauerkraut, Meat & Onion), Babka, Apple Strudel, Cinnamon Pletenka, Sunflower Rye Bread, and Makovik with Poppyseeds. There’s such a beautiful, homestyle feel to all of their foods. 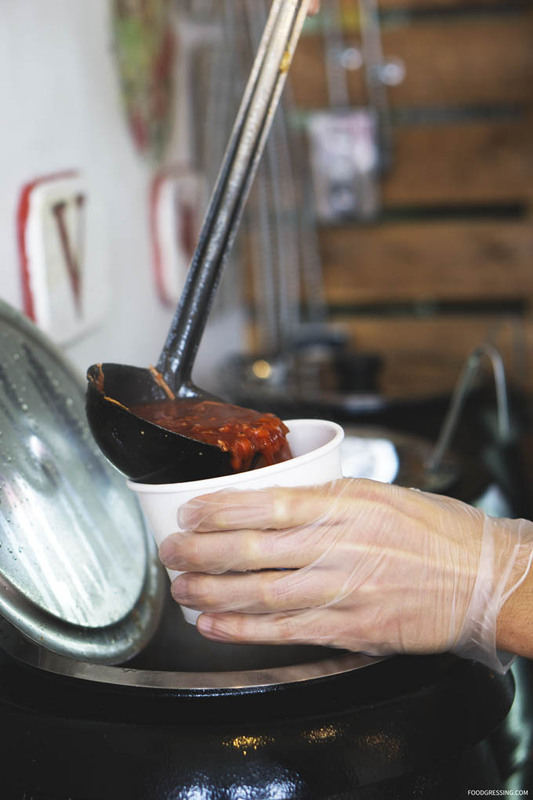 It’s the kind of comfort food that you will make you feel good. Starting off with the savouries, the cabbage rolls were nicely tangy and tender. And the perogies were insanely delicious. I can’t recall going to restaurants that serve perogies but I have bought perogies them vendors at Farmer’s Markets and the Christmas Market. The perogies from Solodko trumps them all. I’m not a fan of thick perogy wraps so I was impressed with how thin the wraps were from Solodko. The perogy wraps were delicate but still held the filling together nicely. And the filling was melt-in-your-mouth delicious. I loved the Potato & Dill filling but they were all very good. 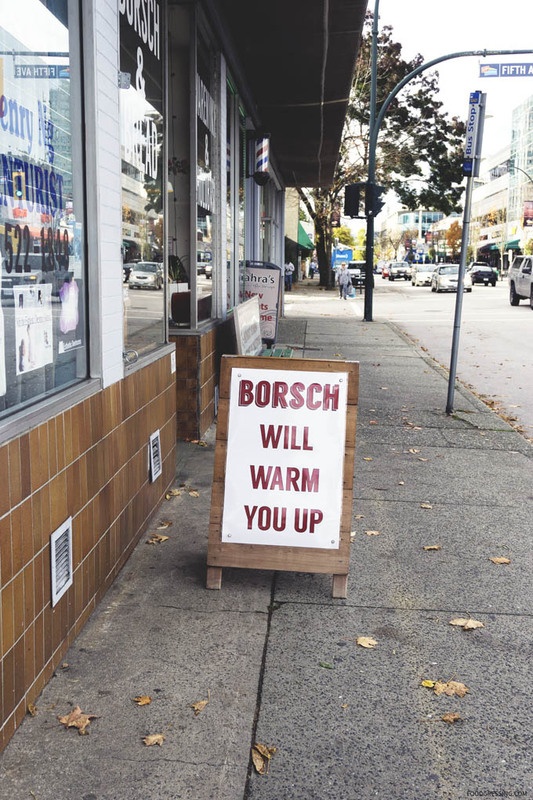 Meanwhile, the borsch was rich, flavourful and was a mix of sweet and sour. 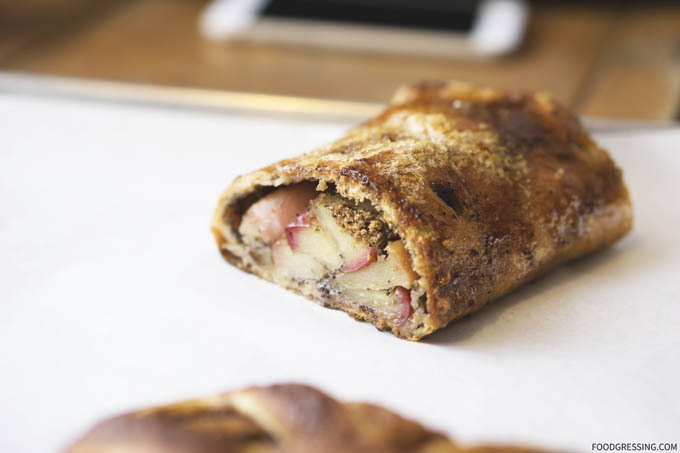 And how about a freshly baked Apple Strudel? I loved the chunky apples which were just a bit crispy instead of being mushy. Sinfully good and I would love to have this again. 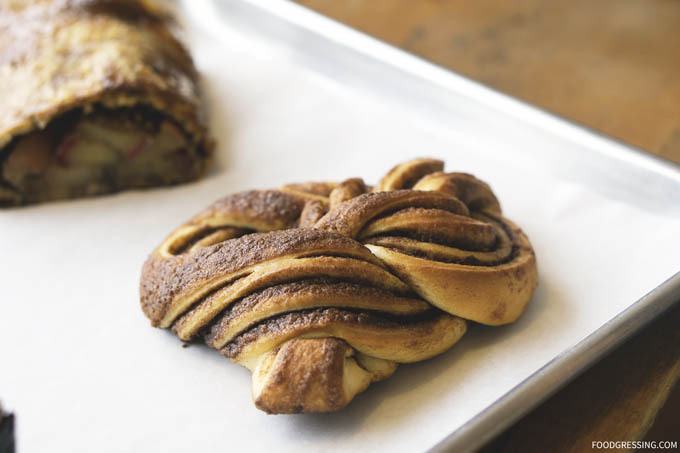 The Plentenka was a sweet braided bread with cinnamon flavour. 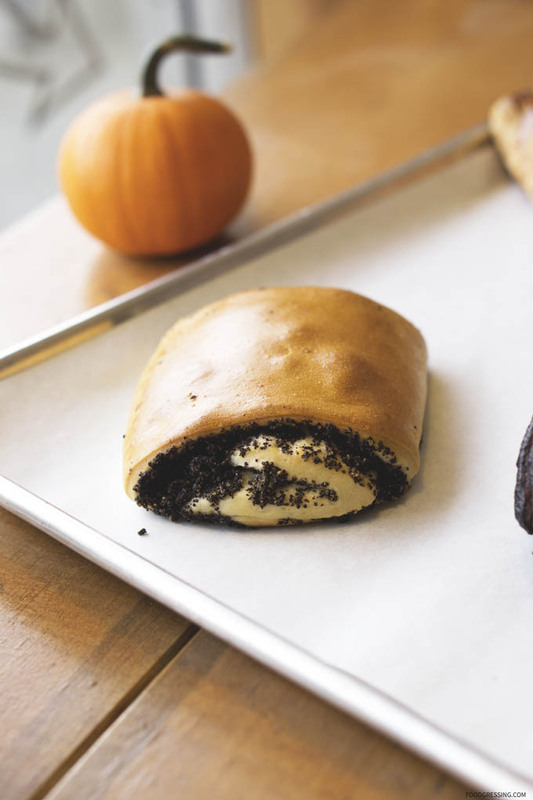 The Makovik (Poppy Seed Roll) was light and fluffy with a sweet dough. The poppyseed filling was dense, rich, and bittersweet. 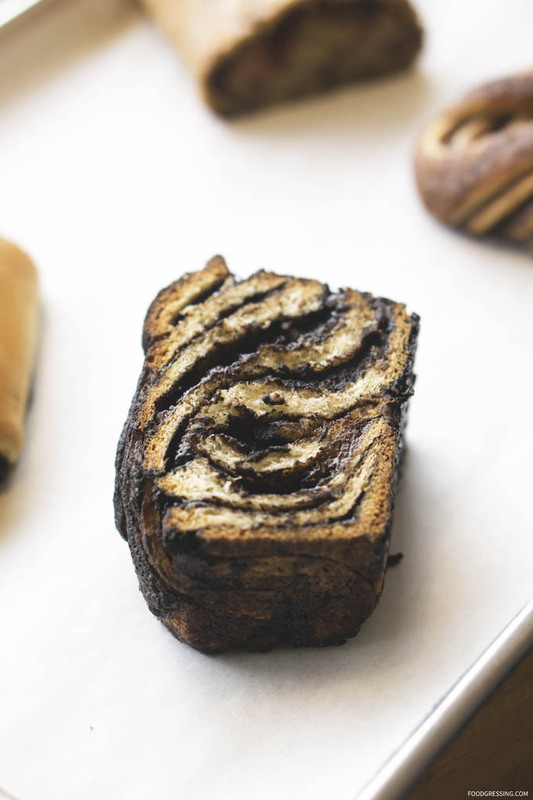 And for those looking for something more decadent, there was the Chocolate Babka. It was chocolately, buttery and oozing of old-world charm. A melt-in-your-mouth sort of dessert that you can pull apart easily. 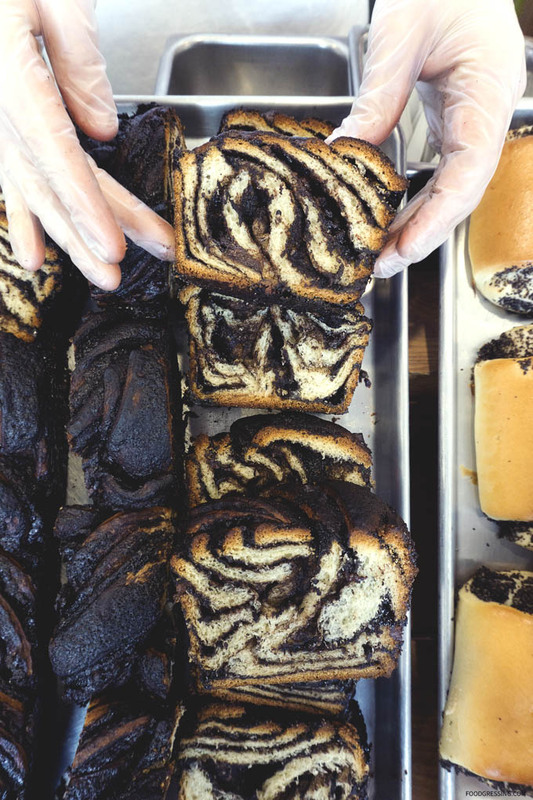 I personally would prefer something less rich but the Chocolate Babka seems like something that would satisfy sweet lovers. 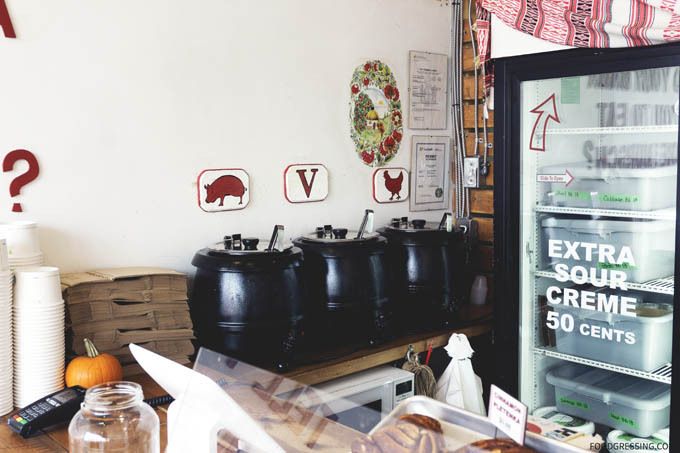 Back in May, I was collaborating with the Robson Business Improvement Association to showcase some top Robson foodie spots. 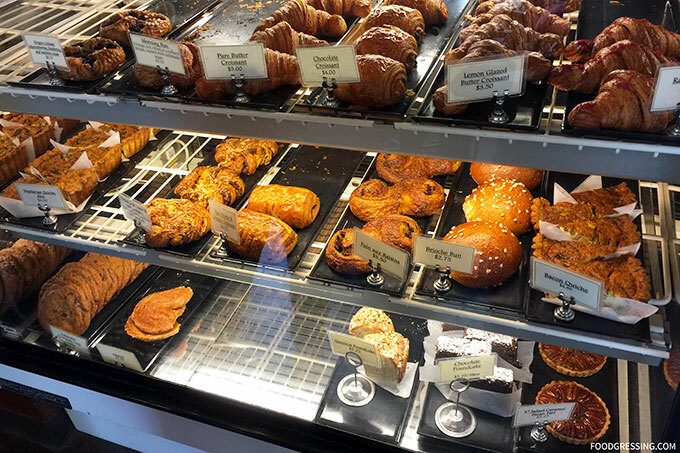 One of my favourite bakeries in Vancouver is Breka (see review here) and they have a location at Robson and Bute. 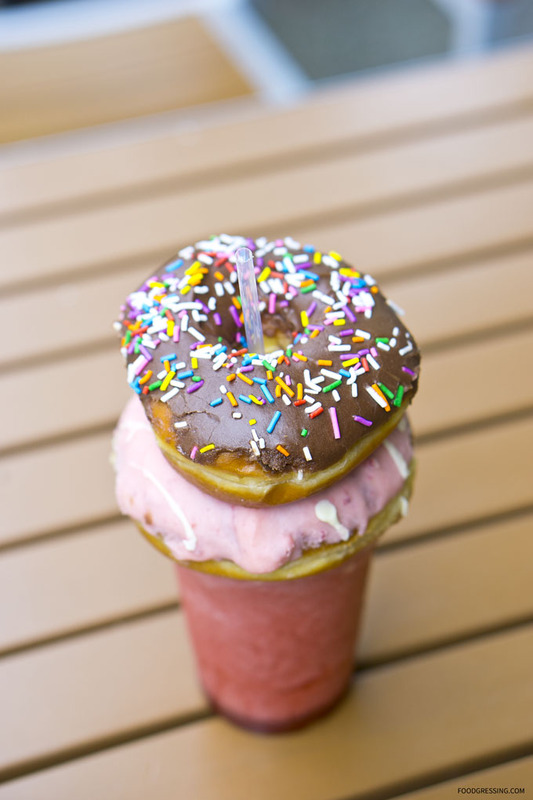 For the collaboration, I decided to feature their donuts ($1.25) and smoothies ($4.50). 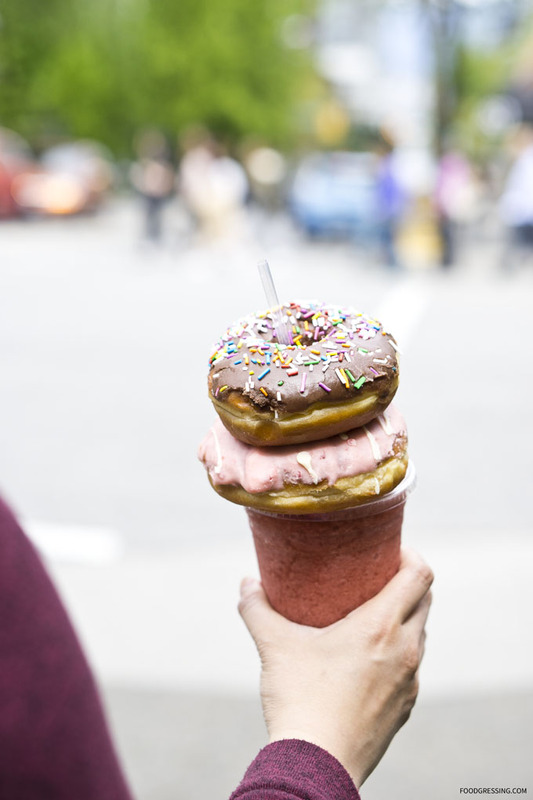 Donut flavours were chocolate with sprinkles and strawberry. For the smoothies, I went with strawberry and green tea. I’d personally recommend their donuts; the ones I bought which were fluffy, not sickeningly sweet, and had a delightfully chewy texture. As for the smoothies, the strawberry tasted too artificial for my liking but the matcha one was reasonable.